Maurice-François Garin. Winner of the first tour de France. 1903 - Bicivilizados. Ciclismo urbano. Alegría entre tus piernas. 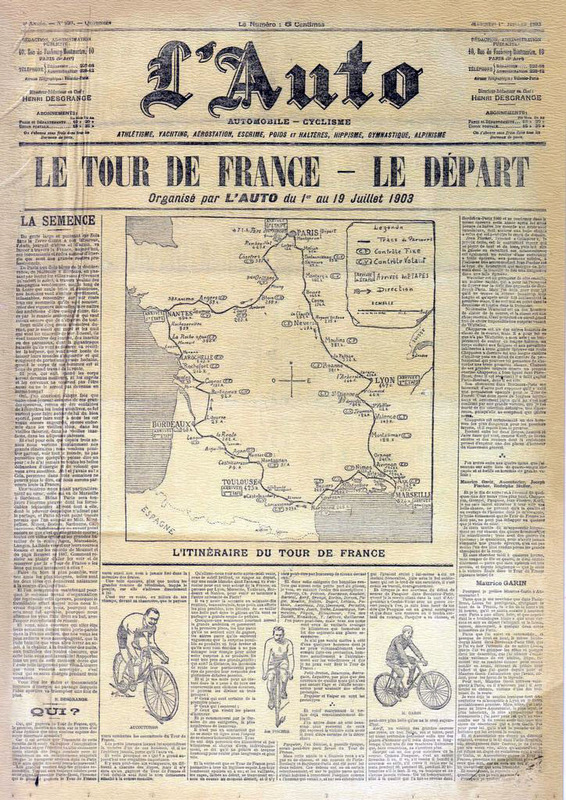 The 2013 Tour de France marks the 100th of the event’s history, which began in 1903 (the competition was put on hold during the two world wars). Strangely, this inaugural event of 1903 had it’s origins in one of France’s greatest political scandals – the Dreyfuss Affair. In 1894 a young French artillery officer of Jewish descent, Captain Alfred Dreyfus, was convicted of high treason but then, years later, was proven to be innocent in the light of new evidence, evidence which the military attempted to suppress. The ensuing debate over Dreyfuss’ innocence, and the wider issues of anti-semitism in which it was embedded, divided the nation. One such division occurred within France’s most popular cycling magazine L’Velo, causing it to split into two when an anti-Dreyfuss contingent broke away to form L’Auto-Velo. L’Velo‘s owner won a court case forcing L’Auto-Velo to change their name, which they did, to L’Auto, a move which saw their sales subsequently plummet. 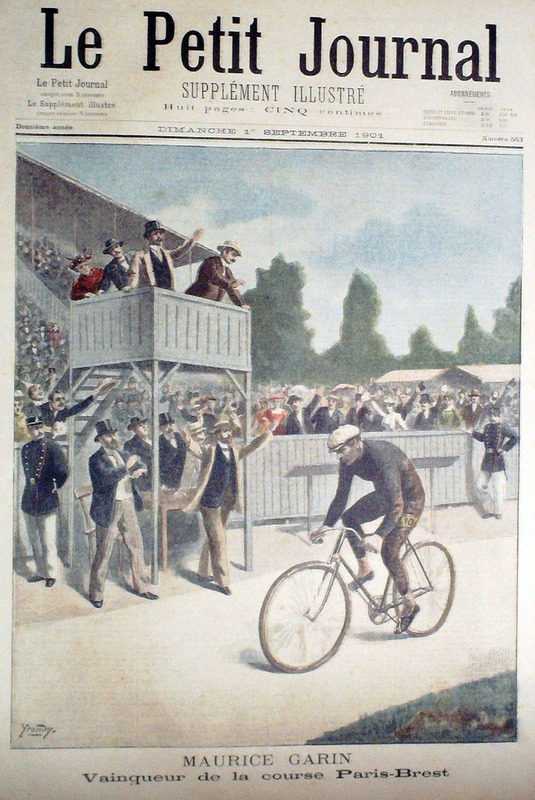 In an effort to boost their waning popularity, and win back their cycling fans, L’Auto set up the Tour de France in 1903. It was a hugely successful campaign which caused their sales to increase 6-fold during and after the race and, eventually, pushed L’Velo into bankruptcy. The 1903 competition was run only in six fairly flat stages, unlike the mountainous 21 stage event it would grow to become, however, each of these 1903 stages were extraordinarily long, with an average distance of over 400 km (250 mi), more than double the distance of today’s. 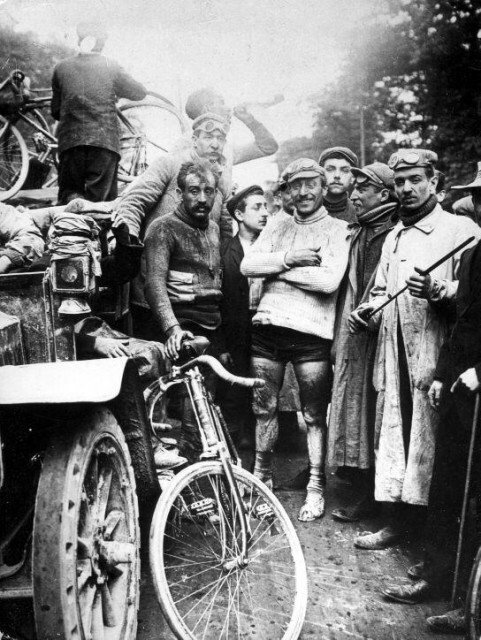 60 cyclists, all professionals or semi-professionals, started the race, of whom 49 were French, 4 Belgian, 4 Swiss, 2 German, and one was Italian, Maurice Garin, the pre-race favourite who eventually went on to win the event. Garin would go onto also win the next year’s race only to then be disqualified along with eight other riders for cheating including the illegal use of cars and trains.